I’m always up for trying new things, specially if it’s an icy cold, sugary goodness, aka ice cream. I’ve pass by Stogo a couple times, and made a mental note: must try. In times like these, I wished my memory had failed me. But I guess there’s a price to my curiosity, $6 in this case. I’m not lactose intolerant and as you’ve seen, I’m not exactly a “healthy” eater, although I do look for farmers markets and fresh seasonal foods. Nothing artificial nor preservatives. So as I went down the list hanging on Stogo’s wall, check, check, check. Sounds good to me! 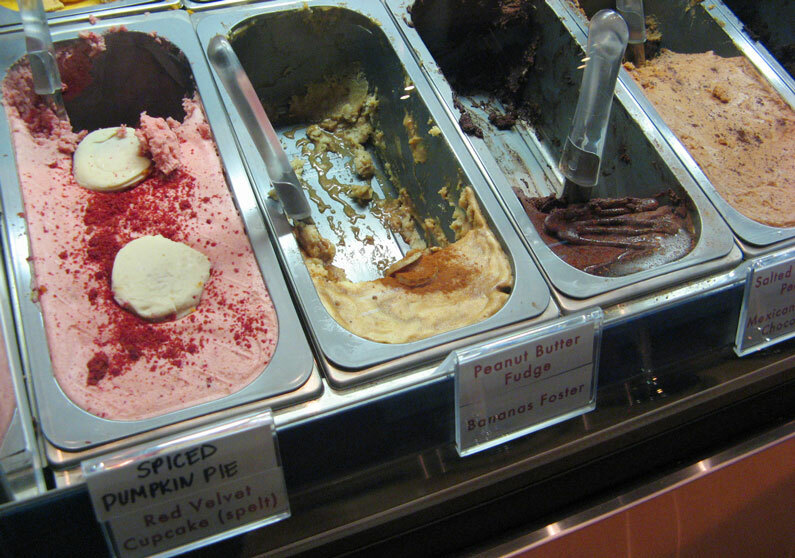 Excited to see flavors like Red Velvet Cupcake (my favorite reg cupcake flavor), and Peanut Butter Fudge. 2 scoops please! Here we go, my first taste of dairy-free ice cream… hmmmm… interesting, it’s way too sweet. Texture is kind of sticky (not in a good way), thick and the bits of red velvet cupcake made it somewhat granny (would of never have guessed the flavor if I was blind folded). Chunky ice cream is great but this was on a whole different level, didn’t feel like I was eating ice cream, somewhat doughy. Plus I found the soy milk overpowering, even though I love drinking it. Peanut Butter Fudge was better. Bits and pieces of peanuts and chocolate, but also way too sweet for my taste. Like that canceled show on the Food Network “Calorie Commando”, I guess when you take out an ingredient, you end up adding a huge amount of something else to make up for it, in this case, extra sugar. I wasn’t satisfied, took no more than 2-3 little spoonfuls of each, and called it a day. At least I gave it a try right? 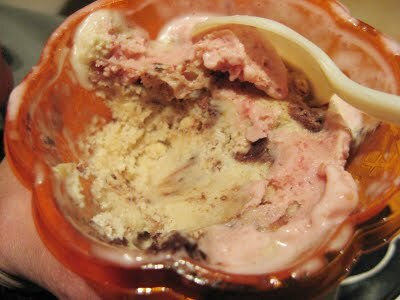 After the ice cream, there was no appetite left for anything else. 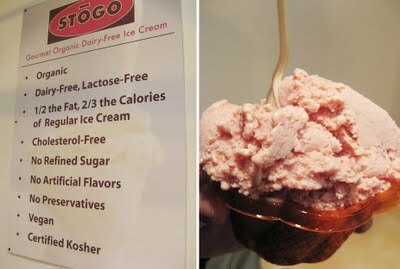 I’m glad I can have real ice cream, but even if I was lactose intolerant, I would rather take a pill than to put this in my mouth again, sorry Stogo, but taste, texture and flavors were all a NO-GO for me. Hey there! It was great meeting you at the Foodbuzz event! Hopefully we are invited to go again next year… boy, what an amazing time we had. I imagine this is a lot like the vegan ice cream at Penny Licks in Williamsburg, where I live. I always take people there expecting them to like it like I do, but everyone thinks it's too sweet. Looks like I'm going to have to go to Stogo and see for myself. I suppose if I were vegan or had food allergies I would go to Stogo again however if you are none of the above, I definitely would refrain from their ice cream. Esp when sundaes and cones is just a couple blocks away!